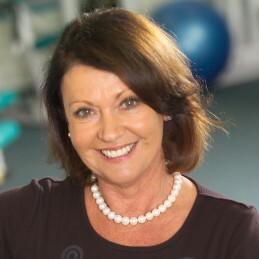 Diana Williams is Founder and Chairman of the Board of Fernwood Fitness. Young, motivated and a gym fanatic, Diana Williams saw a great niche for women’s gyms in the mid 80’s. She pursued her entrepreneurial idea and today, Fernwood Fitness is a household brand name that boasts 70 clubs across Australia with 68,000 members. Diana was aware of the benefits of strength training but knew many women steered away from the weights area in a male-dominated environment. Fernwood Fitness provides women with an alternative to working out in a mixed-gym environment. Diana established the business in 1989 which today turns over more than $75 million and employs 2,000 people. Diana has built the business to be the largest of its kind in Australia, with a membership of 80,000 women and an 89 per cent unprompted recall of its name. Under Diana’s leadership, Fernwood has continued to develop and redevelop each level of service to the client. Her early visions of oil burners and fresh flowers have created an atmosphere where women can feel comfortable in an environment designed specifically for their needs. Programs such as yoga, weights, personal training and others are created to encourage women to focus on their health and fitness and Diana continues to develop products and programs which offer women a holistic approach to well being, in an environment in which they can feel comfortable. The strength of Fernwood is not only the gym itself. Over the past few years Diana has also concentrated on developing a good management team to support the growth of the business. This team of people are, under her guidance, developing procedures and processes which strengthen Fernwood’s position in the fitness industry and also enhance her vision for the future of Fernwood. Diana’s commitment to providing exceptional service to clients, her positive approach and knowledge of the industry will allow her to continually reinvent Fernwood Fitness Centres to be the best for Australian women everywhere. Fernwood regularly appears in BRW’s top 10 fastest growing private companies.